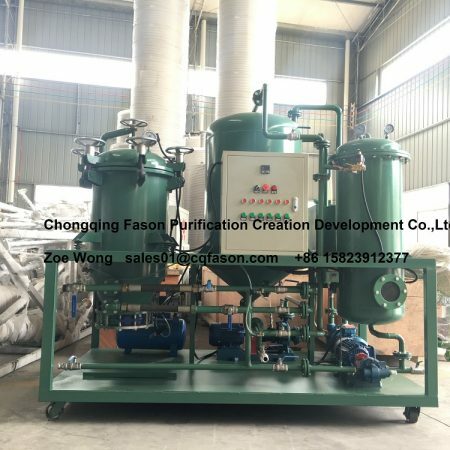 Vacuum oil filter operation – Waste oil purification equipment | used oil recycling machine for sale. In 2010, the Innovation Fund was listed as a key cultivation enterprise by the Ministry of Science and Technology. In 2011, it was awarded the title of National High-tech Product. At the same time, it was awarded the major scientific and technological achievements by the Chongqing Municipal Science and Technology Commission, passed the national high-tech enterprise certification in 2012, and passed successfully in 2012. The third batch of intellectual property work in Chongqing has passed the acceptance test and passed the ISO9001-2008 quality system certification. It is an industry leader integrating R&D, manufacturing, sales and service in China. 1. Open the electrical box and check that all electrical components are intact. 2. Check if the rolling direction of the motor is correct and should match the direction of the indicating arrow. 3. Check whether the bolts of all parts of the machine are loose and check whether the oil level of the vacuum pump reaches the oil mark line. 4. Close the cooler drain valve and all drain valves. 5. Check if the wire hoses are loose. 6. Check the oil inlet and outlet valves of the oil filter in the closed position. 1. Open the electrical box door and close the power switch. 2. Start the vacuum pump system. 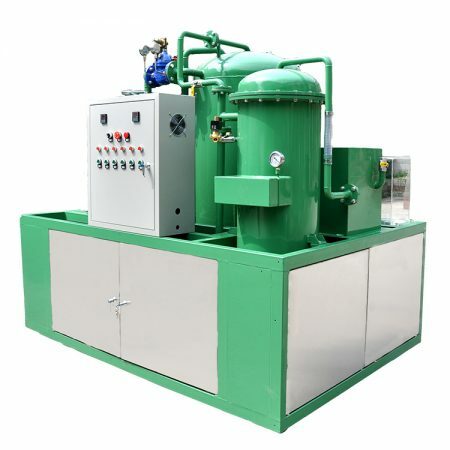 When the vacuum of the vacuum gauge reaches -0.06Mpa, open the inlet valve of the vacuum oil filter and check that the oil enters the strainer from the main tank – the heater – the vacuum tank. 3. When the vacuum tank oil level reaches the center of the investigation hole, the oil discharge main switch can be rotated to the active position. 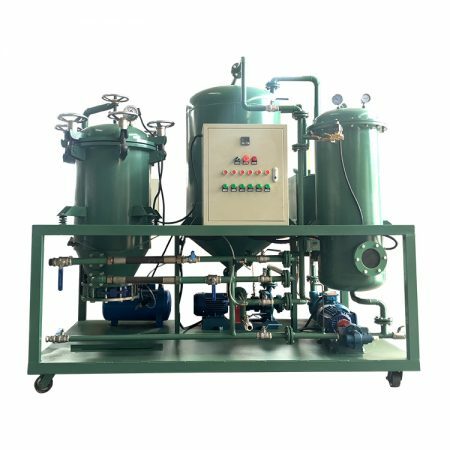 When the vacuum tank oil level reaches the high oil level, the oil discharge pump actively starts, and immediately opens the oil discharge valve to turn the oil. Discharge to the main fuel tank and actively stop the pump when the oil level drops to the low line. 1. During the oil filtering process, when the moisture content of the turbine oil is too high, a lot of oil will occur in the vacuum tank. At this moment, the gas-proof door should be opened, the vacuum should be lowered, and the oil hole should be investigated below the center of the investigation hole for normal operation. 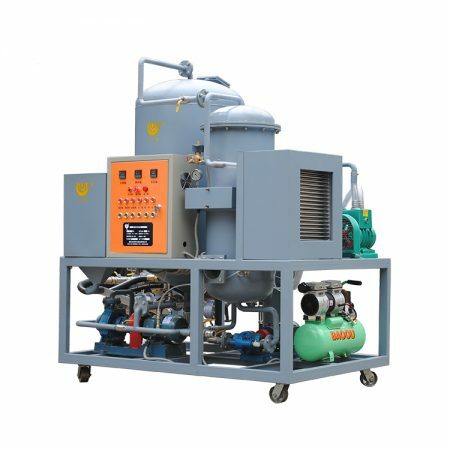 The vacuum operation can be adjusted, but it is necessary to pay attention to the investigation of the vacuum tank oil level below the center hole. 2. 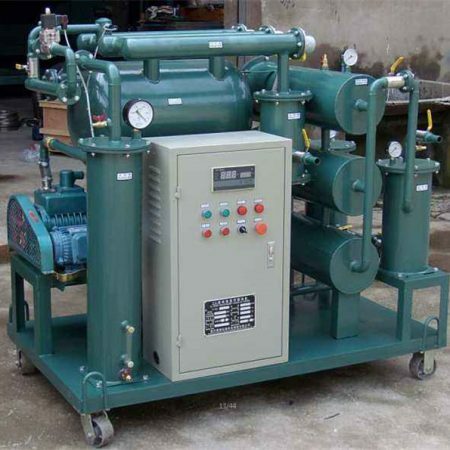 The working temperature of the vacuum pump must not exceed 75 degrees. 4. Pay attention to the pressure gauge on the fine filter. If the gauge pressure is 0.4Mpa, it is necessary to stop cleaning the filter. 5. It is found that the amount of oil entering is reduced, and the strainer is immediately viewed. If the filter of the strainer is clogged, it is necessary to stop the cleaning. 2. Stop the vacuum pump and open the air valve. 3. Stop the operation of the drain pump and close the inlet and outlet valves. 4. When the operation cycle is long, open the cooler drain valve. When there is water, it is necessary to drain. Open the vacuum tank, the strainer and the fine filter drain valve together. After draining the stain, close all valves. Five: Once the vacuum oil filter is damaged or the related pipeline is damaged, it is necessary to stop the oil filter system in time and immediately close the vacuum oil filter inlet and outlet valve and the lower and lower throttle of the main fuel tank, close the vacuum pump cooling water into and out of the water gate, open the vacuum An air door is placed in the upper part of the tank to damage the vacuum. 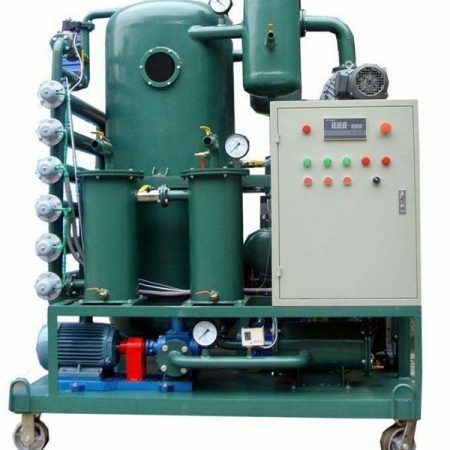 Products developed by the company: FS-MDP automatic rectification equipment, FS-HDM rectification unit, ZTS decolorization and oil refining machine, new non-standard oil purifier, DTS multi-function purification and decolorization integrated device, etc., have been in the international and domestic The frontier of purification technology. 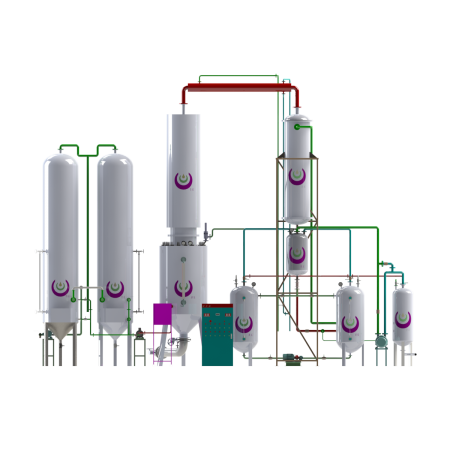 At the same time, the company has developed different products for various users according to different needs in the industry. In strict accordance with the JB/T 5285-2008 standard, the Ministry of Power DL/T 521-2004 standard, standardized production, the products are trusted by many mass-market enterprises in China.